All good things comes to an end for a new beginning. If sources are to be believed than the time has come for Mahadev to bid adieu. Yes! We are talking about Devon Ke Dev...Mahadev. The show ruled millions of hearts over a year. Undoubtedly the show, produced by Triangle Film Company has set a bench mark in Indian Television with its larger than life narration and visuals. It can be also said that Mahadev has given a new horizon to small screen. "Mahadev will probably go off air in the month of December. Earlier the makers were contemplating on the closure of the show. However, with constant dipping TVTs and no attractive story to narrate it has been decided that the show will be pulled off air by end of 2013.," said a source. We too hear that Mahadev's time slot will be given to producer Nikhil Sinha as the maker is all set to bring in another show apart fromGanesh Leela and Hatim, which are bi-weekly. Mahadev is on air since Life OK's conception and it will definitely be painful for the channel and the makers to bid adieu to their child. But as said by Ajit Thakur in an interview, that if any of the Life OK show goes off air but still has a huge fan following, it will be brought back on public demand. 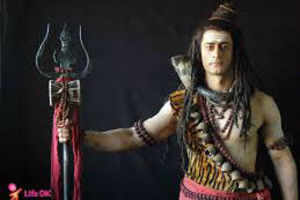 Now that we are talking about Devon Ke Dev...Mahadev, we cannot forget Mohit Raina, the face behind Mahadev. The actor with his convincing performance has created a huge fan list for the show. When contacted, Nikhil Sinha, the producer of Mahadev, said, " That's not true. The show was going through a dip few months a ago. But now Mahadev is back in action and hope it rules for another one year." But that's not the end for Triangle Film Company and Life OK as they both will continue to treat their loyal audiences with an aspiring show, 'Hatim'. The great show which is the hope to start trend in Tellywood of Mytho shows. An end of a great era, and truly said all good things come to an end. Will miss the show definitely. Thanks for sharing, Manan . Share it on DKDM forum too. Mods are free to close topic now. Dara Singh battling between life and death! ...Mina... 1 1509 06 December 2011 at 8:40pm by .Vrish.